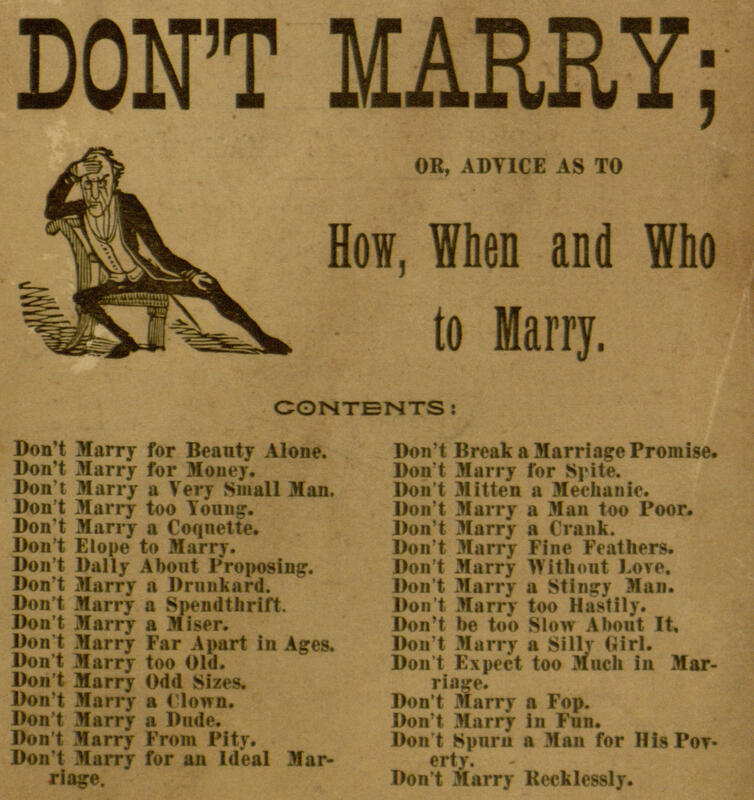 Our latest completed Distributed Proofreaders to appear in the Project Gutenberg collection is Don’t Marry, the 19th-century marriage advice book featured earlier this year in an article on Slate.com. The book is split into three main parts. 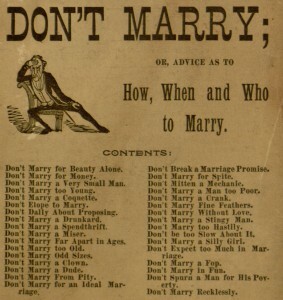 Part one contains a list of “don’t’s” designed to guide readers away from bad marriages. Some of the advice presented here remains good common sense; other suggestions reveal some of the prejudices of the time. Parts two and three contain a pair of cautionary tales about the consequences of marrying unwisely, either with too much or too little romance. These two stories are fairly typical of the tragic fiction of the period. Whether or not the book remains useful as a guide to important life choices, it’s an interesting slice of vintage popular culture. The entire text of the book may be read online or downloaded through Project Gutenberg.